Vladimir’s wisdom and expertise is shown simply and concisely. Full of instruction on preparing to receive strikes, and the particulars of delivering the devastating relaxed strike that has become a trademark of Systema, this book picks up right where “Let Every Breath…” left off, I recommend reading both. I got my copy last night, and it’s hard to put down! If you felt/seen Mikhail or Vladimir’s strikes before, you know they have this special fist which has the devastating effect. Now Vladimir is revealing how to obtain “the fist” in detail for the first time! 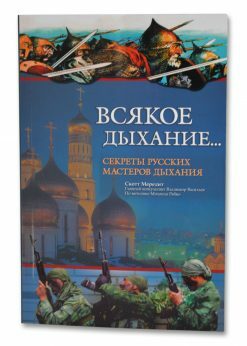 If we want to strike like Mikhail or Vladimir one day, not only we need to read this book but also we need to treat this book like the source. Staggeringly rich, yet humble and approachable, this book is a vast treasure-trove of martial knowledge. It reaches far beyond the subject of strikes to encompass all aspects of Systema training. In time, Vladimir Vasiliev will be undoubtedly be recognized as one of the greatest teachers and practitioners in the history of the martial arts, alongside long-departed luminaries like Gichin Funakoshi, Jigoro Kano, and Morihei Ueshiba. As such, no serious martial artist – regardless of style – should be without this book. Once again, Scott Meredith has done a great job of framing and contextualizing Vlad’s deep martial wisdom. The pure, natural simplicity of his verbal lessons can make the subtle seem obvious, and without proper consideration and practice, it’s easy to overlook just how powerful these ideas can be. Scott helps the reader to avoid this mistake, by unpacking Vlad’s quotes and lessons for our benefit, making it all (to quote Albert Einstein) “as simple as possible, but no simpler”. Three chapters in. and I already have to recommend this book. This is a book that is like taking extended periods of time talking philosophically and practically with Mikhail Ryabko’s #1 student, Vladimir Vasiliev. Vasiliev is arguably the man who has not only high level knowledge, experience and skill, but also the insightful ability to teach the essence of the vast body of knowledge called Systema. The book is well paced, and an easy read initially. The encyclopedic information on strikes in these pages, is powerfully linked to breathing, body position, movement and psychological states. Then as you start to slowly digest the information, you’ll return to different chapters, and even re-read the whole book for more profound insight. Let us not forget the masterful writing and the format of this book, formulated by Scott Meredith.The verbatim quotations of Vlad’s descriptions are priceless! There are sections where I can actually hear Vladimir giving the explanation to a group of us, attentive at this feet. 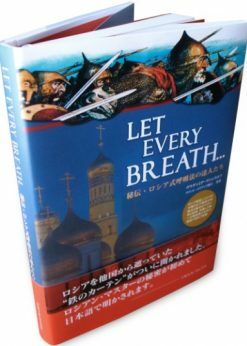 This is the third of the books in the “must have” Systema library, including Let Every Breath, also by Vladimir Vasiliev and Scott Meredith, and Systema Manual (by Major Konstantin Komarov). Thank you for publishing this information, it is a genuine master work. Fantastic book! Really recomended not only for Systema pratictioners, but for all kinds of martial artists. Very interesting book. I thought there would be more specific how-to stuff in it, but there is some. I suppose the rest would come from classes & there IS the point that a lot of things that are hard to explain are easy to demonstrate. I very much liked how it gets into how the conditions of the situation play a factor (like how much gloves come into play with what you do in boxing, but when they’re off – things are different). I can’t help but feel that someone might understand some of these things better if they spoke Russian so it could be communicated IN Russian, but then, the fighting itself is not spoken. I liked the anecdotes from various events. The one with the guy in the liquor store was very good. I’m not well-versed in System, but I had a lot of street fights growing up & something I noticed about Systema (and this is touched-on in the book) is that it’s very reality-based in the PHILOSOPHICAL sense of the word (or maybe “ontological” is more accurate). “STRIKES” is not a book to be merely read and put on your shelf. This is a guidebook, one to be read and re-read, to be studied, underlined, and dog-eared. Once I told the guys in our local Systema training group about the scope and breadth of this book–that it’s not just about the physical aspects of striking, but it also covers the psychological and spiritual aspects – every one of them bought a copy! We are literally “all on the same page” now, thanks to this book. If you’ve been “sitting on the fence,” wondering if you should buy this book – get off the fence and buy it! You’ll be SO glad you did, that I truly believe that I’ll soon be reading a glowing review from YOU! It’s brilliant… Got mine yesterday and I can’t put it down… Thank you, Vladimir. We received the books in the Netherlands yesterday. What a good book! I read it in one go, and start reading it again. Really, this book is great ! It’s very clear and inspirational. It contains stories, explanations, exercises, testimonials… A very very good book. 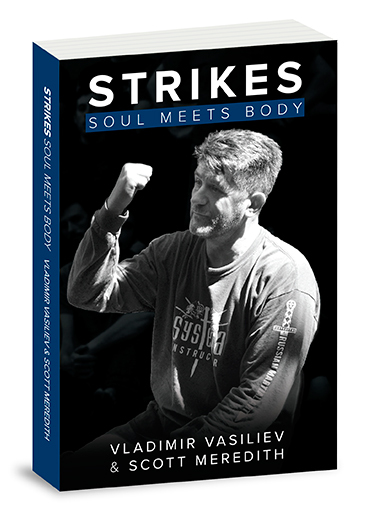 The latest publication from Systema HQ, STRIKES: SOUL MEETS BODY, is much more than a technical manual on how to deliver and receive Systema strikes. 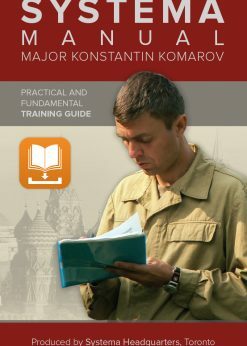 Although there is plenty of knowledge imparted on the concepts and aspects of Systema striking, this book really delves into the heart and philosophy of Vladimir Vasiliev himself. This book was the best book I have ever read. There is a natural tension free annotation on it that just screams truth! In short, it has changed my life. Thank you for its publication. It is, to me, another great step in summarizing Systema knowledge by written words, and another way to a deeper knowledge and the “correct” attitude to learn Systema. My thoughts on “STRIKES Soul Meets Body”. It’s surprisingly not just about striking, as most would gather from the title, that’s just the angle it’s largely conveyed from. The book guides the reader how to deal with daily challenges in a whole-body self-connected way. STRIKES has already changed my life in a positive way simply by me incorporating the information into my daily life practices. I’m stronger and more connected, and I’m becoming more and more slow to anger, and feel less debilitated by fear or tension. I can’t express how grateful I am that Vladimir and Scott took the time to write this book. If you take your Systema training seriously, Strikes: Soul Meets body is a must have. 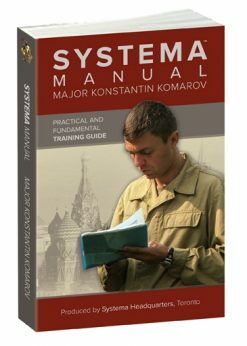 The beauty of Systema is that you can always go deeper and there is such a vast amount of knowledge in this book that is made easy to comprehend because of excellent organization, writing and Vladimir’s anecdotal life experience. All elements of Systema are contained within it’s individual components so this book will strengthen your overall understanding of Systema through the topic of strikes. I would tell anyone who has made the commitment to Systema, being that it is a way of life for them, that Strikes: Soul Meets Body, The Systema Manual and Let Every Breath are mandatory material. It is truly a blessing for those looking to become a better person and live a higher quality of life. Vladimir and Scott thank you for this gift. The book is so good, I read a page or two at a time. I’m savouring it, I don’t want it to end! I just finished reading the book. I usually don’t comment on anything, but this time, I would like to make a few points and share how I feel. Strikes is the perfect learning material to understand what Ryabko/Vasiliev Systema is all about. This is exactly what is so striking about this book. Yes, the subject is how to strike properly and yes, it gives lots of exercises more or less known to improve striking abilities (the one with the glove is really funny by the way) but above all; it explains the importance of working on strikes. This book is a treasure that will age with you and will talk to you in new ways. It will provide insights and learning for years and years. As your understanding of Systema grows, so will your understanding of Vladimir’s messages. I keep reading the same first few sections over and over. I am not making progress to the end of the book because there is so much here and yes plainly written, straight forward and compelling. I am wicked glad I bought this book. At some point here I will have to make myself move on and quit rereading the same content lol – It really is that good ! This book offers extremely practical training insights to any martial artist seeking to polish his skills. However, the most valuable thing of all is to learn about Vladimir’s personal development of his powers, how he has had such deep experience and broad exposure in all aspects of martial arts. I received my copy and it is an EXCELLENT resource! Scott and Vladimir did a wonderful job with the text, their attention to detail and the breadth of the content really shines through! I find the writing style to be very accessible. This is an invaluable resource, offering great depth and perspective into both the art and it’s foremost instructor, Vladimir Vasiliev. Your newest book “Strikes” is wonderful. I cannot recommend it more highly. Deep, clear, powerful and honest. I bought a copy of this excellent book from Matt Hill and find it a fantastic source of information to share with my students. I have had it for several months and find it an invaluable learning tool written in a very concise way… Full of practical exercises and drills to expand both student and instructors alike. I personally am elated by the book and feel it has expanded my understanding of Systema…. I have been reading Vlad’s new book, “Strikes – Soul Meets Body”. WOW! I can’t get through a page without stopping a few times, putting the book down, and allowing some time and thought in order to appreciate and consider the depth of the wisdom and the beauty of what I am reading. During 50 years of martial arts training I have read enough books on the subject to fill a few libraries – but this book is unlike any book that I have read before. For this Wednesday’s training, we will incorporate some of the breathing and striking methods presented in the first few chapters of the book. There are training methodologies in this book which are completely new to me, even after having trained for some time in Systema. I can’t wait to get started. I recommend this book to anyone interested in martial arts. Whether you have no experience or have been practicing for years, this book will be a valuable tool for you. 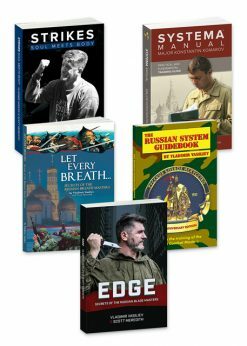 If you want to understand the basics of Systema, get this book as well as Let Every Breath… Secrets of the Russian Breath Masters. I have been training in Systema for 3 years and have had the pleasure of learning from Vladimir on multiple occasions and I can honestly say that his skill is unrivaled. During my 3 year journey with Systema I have become fascinated/obsessed with learning to hit as experienced Systema Practitioners can and this book has been a great supplement to my learning. My current job does not allow me to attend class as often as I’d like so this book has been a breath of fresh air. It gives countless drills and explanations of deep level striking which have given me a great way to work on my striking despite my hectic traveling schedule. As someone who has been hit by Vladimir, I know the power these types of strikes can deliver and this book is a great way to supplement any deep level striking you hope to attain. This book captures so much of the essence of Systema and goes much further than just strikes. It’s is a great resource for current Systema students as well as a great view into the system for those new to or unfamiliar with true Systema. A philosophical and complete approach. 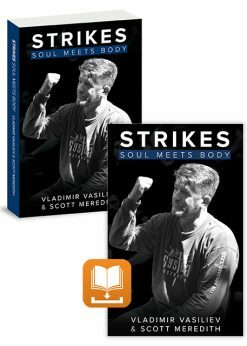 The title itself is certainly an understatement, in this book Vladimir Vasiliev and Scott Meredith really shows how deep something as seemingly simple a strike can be. I greatly enjoy the philosophical approach, it really gives a deep understanding of oneself and others, and its complete and unique physical conditioning of the hands and wrists in a fight as well understanding psychological reaction of oneself and others with a strike has incredible implications on how, where, when and why to strike. 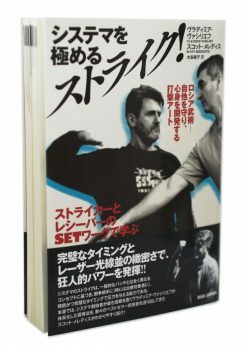 If you practice Systema or not this book is invaluable to any martial artist or anyone who would like to use their fists at one point to protect themselves. Just amazing…and refreshingly different. Quite an amazing manual! Gives a completely different perspective on striking than any other book or video I have seen, and I’ve been in various martial arts for almost 30 years. There is a depth of understanding here that is so rich with detail and for lack of a better word, “spirit,” that you will most likely think about the material many hours over the time you spent reading. I am very impressed with the completeness of what was written, and I am still absorbing it. The author has somehow captured the essence of how to develop profound striking power without even the need for a DVD or video links. Just amazing… and refreshingly different. I will be applying this to my training and will try to meet up with the author at one of his seminars or at his school. The latest book about Systema “Strikes” is a very interesting and unusual document. Scott Meredith gave an excellent review on specialized combat training through his documented encounters with famous combat arts specialist, Vladimir Vasiliev. The methods described in this book are very unconventional and go beyond mechanics and techniques. The author makes it obvious that all described by him training methods and outcomes can be easily incorporated with any sports and /or fighting arts. The book details the many unconventional remedies for physical and spiritual conditioning which go hand in hand. Personally I learn more from watching and doing more than reading. However as I’ve gotten older and wiser (I hope), I have come to value the written word and the priceless information contained in great books by great authors. With STRIKES, it felt like I had the opportunity to train with this great teacher on a one to one basis. It felt as if Vladimir was talking to me directly helping me to understand the elusive power behind Systema and its strikes. This is going to be one of those reference books I’ll go back to for the rest of my life. 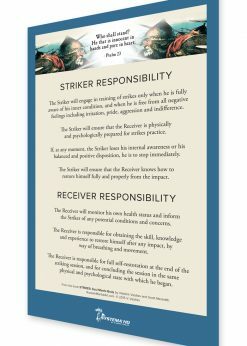 Truly, a bible of striking… The book “Soul Meets Body” can help you to better understand your own angers and fears – how to not run away, but not attack, how to not win, but not loose, how to simply be ready for what comes – may it be a fight or one of the many stressful day-to-day conflicts? The interview passages feel like one-to-one instructions by Vladimir Vasiliev himself. Scott Meredith has done a great job compiling, editing and arranging the in-depth interviews with Vasiliev. The book benefits beginners, advanced students and masters of the art of Systema at the same time, while it also serves everyone interested in the health, stress-management, and fighting aspects of Systema. If one wants to develop a more resilient, intelligent, intuitive and healthy self, then the new DVD by Vasiliev “Breathing and Fear” wonderfully complements the book with concise descriptions of Systema breathing methods. I will never forget the first “light” strike I got from Vladimir and often asked myself how it could produce such an unexpected and amazing effect inside both the body and mind. I was also curious to see what was behind the mysterious subtitle “Soul meets body”; the answer was clear after reading. My congratulations to Vladimir and Scott for writing such a masterpiece, and my thanks to them for all the positivity it provides in daily life. I’m sure this book is already largely successful, and will continue to grow year by year. I’ve never actually had the privilege of learning directly from a Systema instructor, and there aren’t any schools where I live, but it’s okay because the information in this book is truly principle-based rather than spoon feeding a particular fighting style. You can take the information that’s presented here, and if you really understand how to work with it, you can incorporate those principles into any style. This book was incredible. I would recommend it to any serious martial artist, simply for the passages on combat mindset alone. — How to learn to stop being afraid of getting hit, losing, etc. An unbelievable book. Would recommend to anyone. This takes your training to a whole new level with concepts that refocus your mind, body and spirit. Purchased this book for my 27 year old son. He has had a hard time putting this book down and always reads me excerpts from it while doing so that have me quite intrigued. There is a lot of spiritual guidance and deep meanings behind the Strikes which makes it way more intense than the title suggests. Even though my son is the one reading this book, the time we share together discussing the meanings and concepts, making us strike up wonderful discussions makes it that much more interesting. I will indeed read this, if I can get it away from my son and if not, he can reread it and we will continue having discussions and just sharing this special time together. I know I probably shouldn’t have given it 5 stars w/o my reading it cover to cover 1st, but anytime a book can bring two people closer together, it deserves it, in my books. Yes, do read this. No matter which martial art is your choice. If you are thinking about joining martial art training, read this book. If you are facing a battle in your life, even if it doesn’t have anything to do with fighting people, or if you are fighting stress or illness where your soul will meet your body, by all means read this book. In there you can find how to hit so you don’t hurt yourself, as well as how to use strikes as a diagnostic tool to signal your training partner what he needs to fix. You will learn how to hit stealthily. So many things that you can only dream about in 99.9% of martial art schools around the world. The comic book stories at the end of the book are exciting and full of action. Behind them is a deeper and more fascinating narrative of how someone (Vladimir) could grow up in such harsh circumstances and a different culture, make his way through great adversity and violence, and become such a success, sharing his knowledge in a new land.